Welcome to WalkABulls, a free, community social dog walking and education group located in Seattle, WA! Although we joined meetup in October of 2012, this group was founded and active as of January of 2012. Please note that we are not a play group, but rather our social successes come from creating a safe, no-contact environment. WalkABulls explores the many beautiful trails and parks around Seattle, while we work with our individual dogs on leash manners, any social issues they may have, or just on basic socialization in general. Each dog is considered to be in training, though informal, while actively a part of the WalkABulls group, therefore there is no physical contact between dogs when we are together. Any dog breed/type is absolutely welcome! We encourage and support adoptable dogs from various local shelters, rescues and foster programs to be a part of this group! When walking with us, these dogs gain extra visibility as well as practice working on leash manners and no-contact socialization. 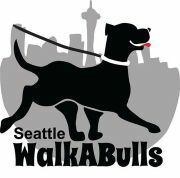 If you are interested in becoming a member of the Seattle WalkABulls, please read more about the group's structure and guidelines. Our Mission: We are a social dog walking group that is accepting and supportive of all breeds, and inclusive of various personalities, "issues", and sociability. We are dedicated to public education as well as advocating for those dogs and families that are not always welcome in many places around the city, which today is primarily the pit bull family. 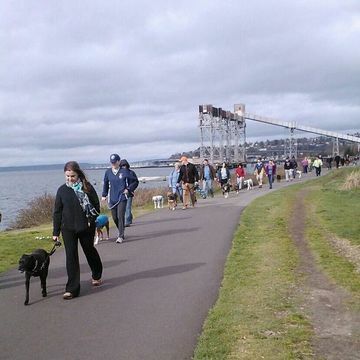 Seattle WalkABulls is a community of dogs and people who come together to socialize, exercise, and to represent a responsible human-and-dog relationship.